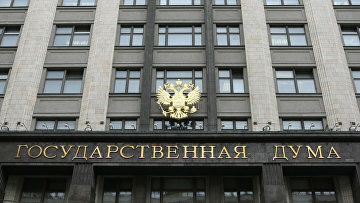 Russian parliament to consider bill on crime victims’ rights | Russian Legal Information Agency (RAPSI). MOSCOW, May 26 - RAPSI. A bill focused on protecting crime victims’ rights is expected to be introduced to the Lower House of Russian Parliament by the end of May, according to Olga Kostina, a member of the Civic Chamber. While Kostina raised the possibility of the Lower House not getting around to its review of the bill during its spring session, she stressed that at least the Parliament has taken the first step toward initiating such review. Kostina emphasized that the bill is greatly needed in order to regain public trust in the legal system. The bill will consist of two volumes. The first will contain amendments to the Criminal Code, in order to ensure the legal status of the victim. The right for the victim to be heard at the sentencing stage of criminal trials and at parole reviews will be included in this volume. The second volume will establish a national fund for compensating crime victims. The bill is to guarantee victims’ access to quality legal assistance, in some cases free of charge, as in the case of under-age victims. 13:31 26/05/2011 A bill focused on protecting crime victims’ rights is expected to be introduced to the Lower House of Russian Parliament by the end of May.